Lets Find Out, September 2, 2018 with Elizabeth Joyce Teaching – Embracing Spiritual Frontiers – What’s coming in 2019? Elizabeth Joyce has been gifted with prophecy, healing, and knowledge since birth. Born as one of two sets of identical twins, she has become a pioneer and forerunner on the subject of the invisible energetic force field that flows through and surrounds this planet, coming from the center of our galaxy and the Universe. 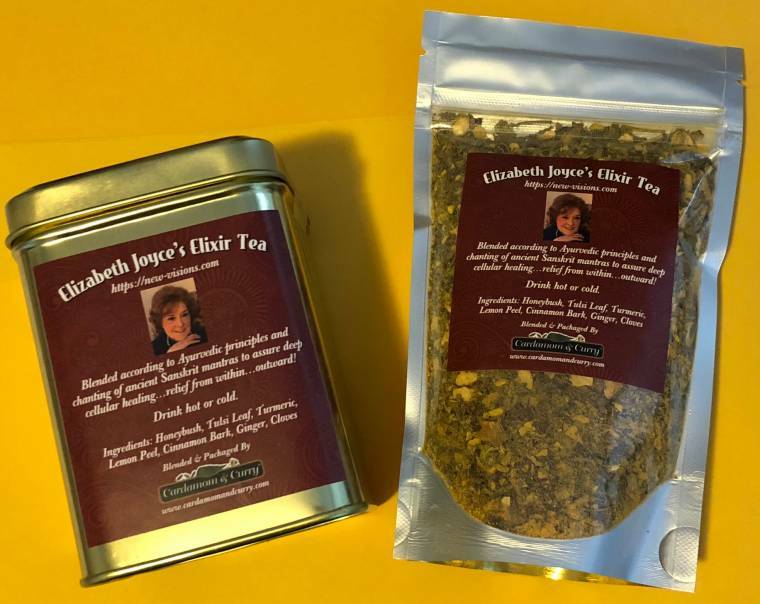 From a Bergen County, NJ Housewife and mother of two boys, Elizabeth Joyce has become internationally respected for her gifts as a psychic and energetic healer. She personally believes the credit should go to the Divine as well as to her guides and teachers. During her darkest hours, when she lost her beloved, Joe, her stepson, Ronnie, and believed she could no longer carry the burden of emotional pain that was a legacy from her abusive and traumatic childhood, her invisible guides appeared to her. With their caring, help, and guidance, she slowly began to heal and rebuild her life. The dreams, visions, highly accurate predictions, and miracles began shortly thereafter, and many have been documented through national media. Beginning with the Monica Lewinsky/Bill Clinton prediction in 1997/98, Elizabeth is one of the very few psychics world wide that picked up on the 2004 Indian Ocean tsunami, the Japan and Haitian Earthquakes, and the 9/11/2001 tragedy in New York City and Washington, DC. Thousands of people have witnessed Elizabeth Joyce’s incredible psychic powers on TV shows such as Unsolved Mysteries, Beyond Chance, and The Psychic Detectives, as well as CNN News. She is a frequent guest on radio shows across the country, including Coast 2 Coast AM. She has been profiled in Women’s Day Magazine, Wall Street Magazine, The National Enquirer, The New York Times, and other national media. Elizabeth is the author of numerous articles and guided meditation audios. Her books are all available at Amazon.com and her website as well. Ms. Joyce is a member of the Academy of Religion and Psychical Research; profiled in twelve books, three of which are The Psychic Yellow Pages (2001) by Dr. Hans Holzer, The World's Greatest Psychics (2004) by Francine Hornberger, and the revised release, America's Top 100 Psychics (2014). 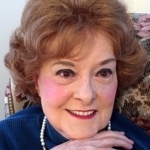 Elizabeth Joyce is recognized for her clairvoyant ability to help find missing persons, dream analysis, past-life regression work, mediumship, astounding psychic gifts, accurate predictions, and spiritual guidance. Elizabeth and her organization, Visions of Reality, teach classes and seminars on improving your psychic and intuitive abilities. Elizabeth is now doing worldwide readings using Skype! She is also in the process of producing a documentary and screen-play on her life experiences. Her memoir Unlimited Realities will be released in late 2016. Ms. Joyce is located in the Doylestown, PA. area. For an appointment call the 24hr answering service and someone will get back to you — 201-934-8986. 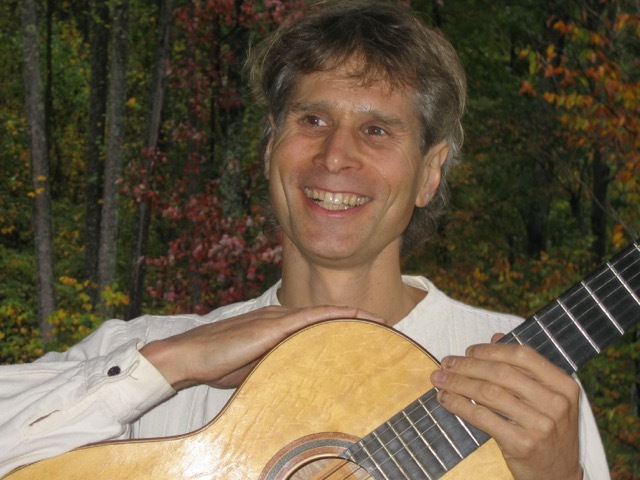 Mark Dodich has provided Astrology and Intuitive Consultations since 1980. Mark holds a C.A.P. (Certified Astrological Professional) from ISAR (International Society of Astrological Research). He is past president of the Oregon Astrological Association, publishes his own newsletter, and is regularly featured in the media. Mark is a regular speaker on astrological topics at conferences, fairs, and metaphysical venues. He provides his work internationally from his base in Portland, Oregon. Mark has had a monthly column in New Connexions Journal since the mind-1990's. He is also seen in print regularly, having published hundreds of articles. Mark is heard on on radio programs numerous times each year, and is on "Let's Find Out" every quarter at the Equinox or Solstice. Metaphysical subjects and techniques that empower spiritual growth are a continual source of interest for Mark. His interest in esoteric subjects started while attending Kent State University, near his birthplace in Canton, Ohio. Mark was fascinated with the study of so-called primitive African tribes that could do telepathy, healing, and even had specific knowledge of stars that were not visible to the naked eye before the telescope was invented. He also studied a local spiritualist church camp to understand intuitive abilities, which he later learned were active in the elders of his own family (Catholics, in those days, did not speak of such things!). Further studies included a healer/counselor certificate, and then a ministry certificate from the Arizona Metaphysical Society, Frank Alper, and the Church of Tzaddi (I am no longer affiliated with the church, and Frank has since made transition). Mark was a board member of the Church of Alice, a spiritualist church, for over 8 years. Mark also took numerous Native America-style medicine wheel training's from Sun Bear and other shamanistic teachings He is a past president of the Oregon Astrological Assn. (two terms) and past treasurer. The devotion this music puts forth could be recognized in any language. Surya’s offering is a song of praise. Through his magnificent singing he empties his heart and soul. Clear and strong, gentle and prodigious, his voice shines. A memoir of the life of a gifted “seer” and “healer.” When I was eight, I became ill with a touch of TB. We lived in Ridgewood, New Jersey, but Mother had grown up in Warner, New Hampshire, where her mother and family still lived. I was shipped up to grandma’s to live for a year, which was the beginning of “saving my Soul” as well as my life. During that precious time I learned so much. Grammie taught me integrity of the heart. There in the Mink Hills of New Hampshire, I received my first nurturing. I felt the touch of God’s love, the glory of the animals, nature, clean air and water, honesty, integrity, and most of all, self-responsibility. I came to see that the mark of true wisdom is twofold: First, it encompasses every aspect of our being, body/mind/spirit. It touches our personal lives as well as our relationships with family, community, and the world. At the same time, this new lifestyle was so simple, with no need to run, hide, or fear. I was able to feel inwardly and thought, “Yes, I knew that!” “Of course, this is natural.” There was a sense of reawakening to an understanding that Grammie believed was inherited through her ancestor generations. When we are open and touched on this deeper level, truth is instantly translated from a thought into active, workable solutions to our upsets and problems. Never in my wildest dreams could I have imagined exactly what Grammie was preparing me for. Transformation, improvement of my family history, how to conquer any struggle between a variety of forces, as well as to locate my past-life talents and put them to use in this lifetime. To teach others how to enhance the understanding of who we are and release all that has constrained us in the past, from walking in Divine Love. As our world civilization moves forward, the need for a means of achieving physical, mental, and spiritual harmony and balance is emerging as an absolute necessity. Today, those concepts and methods taught over the centuries are being adopted by scientists, religious leaders and experts in the physical and mental health fields that bring Light and vital insight to help guide everyone with the current ongoing and vital challenges. Is it possible that all the knowledge of the universe is stored within us? Within in the atoms, molecules and cells that becomes our physical living self and each living moment, molded in our genes and DNA? Are we then able to process our cellular memory and DNA automatically and unconsciously with our brain? In this century we have come to believe that it is possible and that there may be a way to "access" this universal knowledge through a lost system which perhaps the ancient wise men had developed and applied to answer the fundamental questions: "Who are we? What are we? Where do we come from?" The invisible energy, known as Shakti, Chi, The Holy Ghost, is not a 'name' or a 'thing', but the underlying natural order of the Universe, whose ultimate essence is difficult to hold down or understand. The object of Spiritual practice is to 'become One with these energies,’ for by whatever name you choose to call them, they are one in the same. This is known as entering into the State of Being. With all of the religions, teachers, books, and Masters, the philosophy is one and the same. Spiritual practice is to become “One” with the Soul, to harmonize with your inner nature in order to achieve that which you have been born to do. When you are walking your path, you innately know it because it becomes effortless. You think it, talk about it, plan it, and do it. This always involves meditative and moral practices. In all its uses, Spiritual energy is considered to have ineffable qualities that prevent it from being defined or expressed in words. It can, however, be known or experienced, and its principles (which can be discerned by observing Nature) can be followed or practiced. Your impact and connection to this energy force brings you a force field containing unlimited possibilities. However you access it and use it is up to each and every individual Soul. 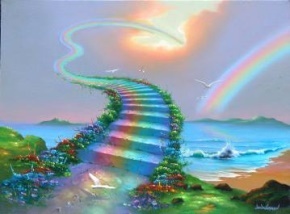 To order your Seeding and Nuturing the Garden of Your Soul: Walking the Middle Road, click here. Spiritual Classes taught by Elizabeth Joyce for over three decades. This is a "How To" book; open yourself up to receive the higher energies and develop your inner wisdom and Spirituality. Beginning with White Light, The Chakras, The Aura, Energy and Natural Healing, ESP, Telepathy, Past Life Regression, and, best of all, the Seance. There is information, meditation, and exercises to help and guide you through these experiences. What to do and what to look out for, the basics of opening up and working with your 6th Sense! I have designed three levels of classes for others to learn how to open up their minds, hearts, and inner self to experience the wonders of what is called the other side. In the past, these spiritual energies have not been available to all, but only to the chosen few. Now, the time has arrived for everyone to become aware of this connection and reap the rewards by using this higher energy in their daily and spiritual lives. Book II of my Intuitive Awareness Classes leads you forward by teaching the secrets of opening up to your Blessed Higher Self as well as the Angelic and Spiritual forces that be. In these pages we will look at the higher energies. 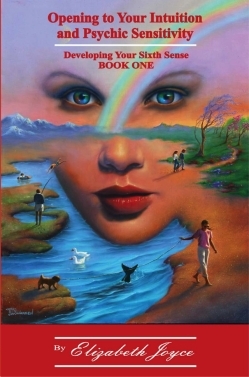 Book One introduced us to Metaphysics, the invisible energies and their initial use. 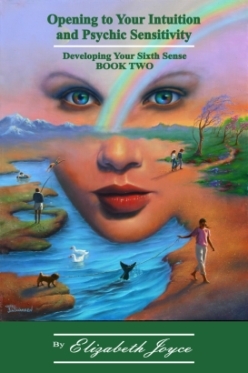 Book Two brings in the ways to work with these energies, once you have built your body and spiritual strength up to be able to work with these forces safely. You will work with the basics of Astrology, past, present, and future lives, setting a condition, creating a positive outcome, going out-of-body, and learn how to manifest as well as receive messages and direction from your guides, angels, and Masters from the other side. There are many benefits of talking to our departed on the Other Side, while sitting at a Séance. The writing of this book is motivated by many people who have asked me how to build up and strengthen their intuition and live a peaceful existence, free from fear. Each chapter has a description and checklist of how best to access the energies described within. What strategies, meditations, prayers, and exercises one can use to tap into the higher realms, receive news from their departed loved ones, or to understand their emotional pain and experiences on this planet, is explained. You will gain the knowledge and awareness of how the cycle of life works, and be able to continue on your personal path, while maintaining good physical, mental-emotional, and spiritual health; the Housework of the Soul. A SPIRITUAL HEALING not based on your personal desires, religion, or earthy unfoldment, but rather on your personal unfoldment. Everything begins, manifests, happens, an occurs from within. The ever-long tradition of prayer and meditation have valid merits. Thoughts are things, and have a direct impact and affect on others. Thoughts can heal, mend, and clear as well as damage, maim, and destroy. Based on Elizabeth Joyce's book, Ascension—Accessing The Fifth Dimension, we offer distant healing using the power of the Circle of Light from the Divine Masters, application of the Divine Seals, and use of the Spiritual Chakras and clearing/cleansing energies. To order your Divine Sitting, click here. Psychic attack is more common than one might think and is a malady that can be overcome by specific metaphysical and/or spiritual remedies. In Psychic Attack, Are You A Victim, which is a groundbreaking book, Elizabeth Joyce clearly explains what the symptoms of Psychic Attack are, how you can overcome the attack, and what simple exercises and meditations you can do to protect yourself from future attacks. Elizabeth uses her years of experience to show how most psychic problems today are motivated by people who have no regard fo human boundaries or ethics. Sh teaches how becoming psychically street smart while maintaining your spiritual practice and well-being, allows you to defend yourself from such problems and illustrates with anecdotes and examples. Born as one of two sets of identical twins, (the second of the second set) Elizabeth Joyce has been psychic since birth. Named one of The World’s Greatest Psychics, (Citadel Press 2004) she is a spiritual energy healer and gives personal psychic readings worldwide. Her website www.new-visions.com is one of the top rated in her field. She facilitates a women’s group, founded the Bucks County Metaphysical Association, a local charity based, learning organization, while teaching her classes on-line and locally. Her classes include — Developing Intuitive Awareness – Levels 1, 2, and 3, Beginners Astrology, Learning the Tarot, and Accessing the 5th Dimension Energies. She holds quarterly Spiritual Intensives and lectures extensively on metaphysics nationwide. She is located near Doylestown, Bucks County, PA.
To order your Psychic Attack, Are You A Victim, click here. We know scientifically that there are Eleven Dimensions, (and perhaps Twelve) universe quirks and black holes within our Universe. To break this down, there are seven levels to each dimension, and the soul must pass through each and every level before crossing over to the next dimension. Sometimes the levels overlap. Think of a Solar and Lunar eclipse. The Solar eclipse begins a new stage and the Lunar eclipse completes and finalizes the last stage. The Solar eclipse always occurs before the Lunar eclipse closes up and up and finally seals the last stage. This is Natural Law. The sense and awe of our great universe never ceases to amaze and humble us, especially those involved with energetic healing. Why do the words “the end of the world as we know it” have to be negative? They don’t! We are all on the brink of a great discovery as well as seeing the “impossible” become possible. Humanity has been living in the Third Dimension until the 1960’s, when we began to enter the Fourth Dimension, and this is not considered a long time. We are infants with all of this energy. The planet is continuing its process of turning inside out as it strives to align with a higher vibration or with new ways of living and being within a very new vision of reality. We have a bit more than four years to prepare ourselves for the coming energy changes, which have already begun. Many of us are downloading Fourth and Fifth Dimension energies on a daily basis. Whatever existed in realities of the past, (Third Dimension energies) or within a lower vibrating dimension are becoming merely an illusion now and many of us are in fear believing that there is very little left to hold onto. In the past millennium we imagined a higher vibrating world or reality for ourselves, and this was called an illusion at that time. (An illusion about love, cooperation, spontaneous healing and helping each other within the spirit of oneness.) Now, the illusion is what is remaining in the old world, or the old three dimensional ways of living and being, the old structures, and the old systems of survival (war, money games, starvation, illness, and a fight for ruler-ship). There is nothing left for these actions to adhere to and from now on, they will only exist within our imaginations or memories. As we progress further and further into the higher realms, we have less and less of the old world to hold onto; the world as we know it. This can create a feeling of falling down a deep hole with nothing to grasp onto and no apparent anchor. We may feel as though there is nothing surrounding us now which feels remotely right or good, or even perhaps that we are existing in a vacuum all by ourselves, like some kind of vortex of emptiness and detachment with no apparent connections to much of anything else. The vibrations are changing quickly, and with that experience we have chaos; destruction before reconstruction. God and The Divine are about to lift us up into a new world of splendor! Everyone has the ability to become transformed and carry the new frequencies within themselves. They can become natural healers, manifest their desires, and bring unconditional love to everyone they come in contact with, but eyes are blind. It is only those who choose to open their eyes and perhaps are blinded by what they see that will move along with the tides of change, and survive. I can assure you, everything is right on track with our spiritual evolutionary process. All is right where in needs to be for this phase of the amazing ascension process we have chosen to be born into, undertake, and move mankind forward. So where will you be on December 24, 2012? Right where you need to be! And not with fear, hiding or a sense of helplessness, but rather with tools for your growth as well as to reach out and help others. This focus on the December date is an illusion at best, and New Age mumbo-jumbo and spiritual hype at best. This is what is occurring now in 2009. As the Ascension process involves dying within while we are alive, we are now fully residing in a higher dimension, as many of us have completed our journey through that tunnel of death and onto the other side of this current energy phase. Many are finding themselves re-connecting with friends and loved ones and re-establishing connections. We are able to find some kind of shore or anchor to hold onto while we seemingly exist in the emptiness. The new leaders and teachers are embracing the entire planet in Oneness. From now until the latter part of 2012, many prophecies are going to be fulfilled, as the planet enters into the final three and one-half years of man’s self-rule on the Earth. As these events unfold many people will increasingly become aware of the Divine Energies and desire to begin their ascension into the higher vibration levels. The key to survival as we enter into the new dimension is to rise above it, access the higher energies, and walk the planet, impervious to the events occurring, while healing others and welcoming in the Unity of All – The Golden Age. To order your Ascension - Accessing the Fifth Dimension, click here. 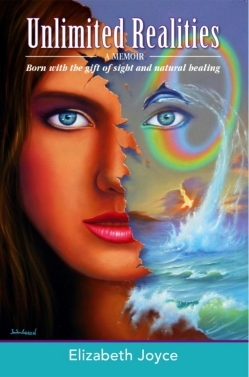 Learn about the Spiritual Chakras and the power of the healing Divine Seals. To order your Ascension - Accessing the Fifth Dimension - Workbook, click here. 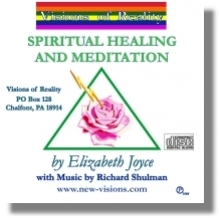 Elizabeth Joyce guides you through Inner Visualization and audio suggestion with music composed by Richard Shulman: enhanced by Suede Communications Technology, these recordings create an extra ordinary advance in Personal Growth and Chronic Health Management. For years, conventional wisdom has taught that insight and understanding were the necessary prerequisites for change. Thanks to Louise Hay, Dr. Deepak Chopra, Dr. Bernie Siegal, Shakti Gawain and many others, this is no longer the case. The Chakras and Your Body - This information on CHAKRAS and Your Body enables you to learn the meaning of each Chakra, what gland it rules, and how to open the Chakras for Spiritual Development and Clarity. The guided meditation on side two is superb and opens up the Heart Center! If you do this Guided Meditation on a daily basis for several months, your third eye will open and you will balance your body, and begin to know the power within yourself. Elizabeth’s guided meditation tape, The Chakras and Your Body is an excellent exercise to use with the book Ascension—How To Access The Fifth Dimension. If you do this meditation for 120 days, your Third Eye will open. 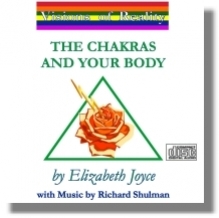 Vibrating to the music of Richard Shulman, Elizabeth takes you through the chakras, one by one, spending extra time at the Heart Center for healing on the inner levels. Begin by manifesting your desires and to walk the spiritual pathway by opening the Chakras. Track A: Information about the Chakras. Track B: A guided meditation to help you work the Chakras to remain balanced and healthy. The MP3 of this meditation will be sent to you by e-mail through SendSpace to download into ITunes or your music program after payment is received. 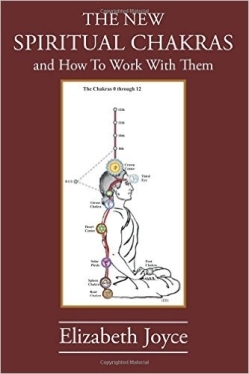 To order your The Chakras and Your Body, click here. Information on the NEW Spiritual Chakras enables you to activate the Fifth Dimension energies within your Universal Body and connect this powerful energy to your physical body. The guided meditation helps you to open your 8th, 8 1/2, and 9th chakras. If you do this meditation for at least three months, you will begin to feel the connection from your 9th chakra to your Third Eye. 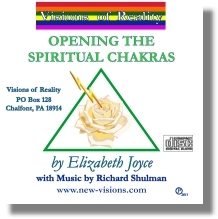 Vibrating to the music of Richard Shulman, Elizabeth takes you through the Spiritual Ascension Invocation all the way up to the 12th chakra. The guided meditation to open the 8th and 9th chakras ignite the connection from the 9th chakra through the brain, piercing the pineal and pituitary glands and out to the 6th chakra, or Third Eye. This will bring forth new spiritual and healing gifts. The MP3 of this meditation will be sent to you through SendSPace as an e-mail. Click on the link to open your web browser to the SendSpace page, then scroll down to the “Opening Your Spiritual Chakras” link to download. Open this up in ITunes to listen. To order your Opening Your Spiritual Chakras, click here. Healing Depression The Natural Way – Set to the backdrop of New Age melodies by Richard Shulman, Elizabeth Joyce relays a holistic and positive approach to deal with depression. The information introduced on the first side describes depression as “the common cold of the mind” that can affect anyone. “No one, absolutely no one, is immune from a bout with depression,” Joyce says. Where depression comes from, signs of it’s presence, and how to cope with it in a natural way are revealed in this simple guide and informational cassette tape. Lifts guilt and shame, allowing your unique personal insight to shine through, strengthening self-esteem. Track A: Information about depression, it’s causes, signs and natural cure. Track B: A guided meditation to lift guilt and shame and strengthen self-esteem. Track A: Information about depression, it's causes, signs and natural cure. Track B: A guided meditation to lift guilt and shame and strengthen self-esteem. To order your Healing Depression The Natural Way, click here. Spiritual Healing and Meditation – Begin to develop your own, personal intuitive insights. Learn the art of “emotional clearing”, remembering that the emotions can either cause illness within the body or help to cure the body. Heighten your vibration techniques and be willing to accept self responsibility for maintaining your own health, the natural way. Learn how to prepare for and administrate energy healing to others. To order your Spiritual Healing and Meditation, click here. Thank you for your encouragement. It means a great deal to me. I am so glad I can listen to your Let's Find Out broadcast on BBSRadio. I just love those closing meditations. Every morning I start my day listening to YOUR voice Elizabeth. It renews my faith and courage. I am attempting to reprogram myself from my constant fear and worry. I'm just a girl who needs to feel grounded and you have provided that way for me. BBSRadio and "Let's Find Out" is a show not to miss! Today I am listening to your CD, focusing on the 8th & 9th Chakras. I am writing my INTENTION, PRAYERS & DESIRED OUTCOMES on pieces of paper & taping it to the walls of this apartment. I want to remain in Germany to manifest the life I desire. I believe I am at a cross-roads. So, I need time to ground myself & heal ~ while creating a new life for myself. And I want to be happy & not lonely ~ as I truly am. I want to meet good people & develop friendships. And yes, I want to have excellent employment, so that I am able support myself with ease. Bless you with your work, Elizabeth.